I love turtles. Not the reptile kind. I mean, I don’t have anything against those, I just would never say I love them. Nor would I want one in my house. We have two dogs. And 5 hermit crabs. A few spiders. A snake that lives in my strawberry patch. And of course, the 6 of us. My kids however have been begging for turtles. So I made fudge. Turtle fudge. They didn’t find that very funny. Delicious, but not funny. 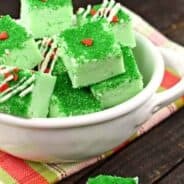 Check out my guide on how to make fudge for lots of fudge-making tips and tricks! In a saucepan over low heat, melt marshmallow cream, milk and chocolate chips. Stir constantly until completely melted and creamy. Stir in vanilla and pecans. Fold in Rolo candy. Pour into a foil lined 13x9 pan. Refrigerate until cool, cut into squares. Enjoy. Nuts aside, that does sound delicious (never been much of a nut person, specifically in fudge). Ha! That’s funny. My kids wouldn’t think I was funny either but I would be cracking myself up. Sometimes that’s all that matters =o) Your fudge does look amazing! I just LOVE fudge. And I love Rolos. So it’s a match made in heaven! Sooo funny!! I don’t think my kids would appreciate that either:) This fudge has got to be the BEST!!! :) I love rolos! Sarah, You could easily leave the pecans out, and even add more Rolos. It would lose the “turtle” title, but still be delish! So…the next time by daughter begs me for a puppy or a sibling I can just make her a cake? AWESOME IDEA! Thank you. And I love this recipe – sending it to bookmarks now! Oh now…this is just what I wanted for dessert! 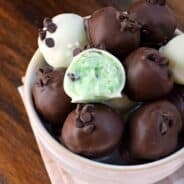 I would take your turtle fudge over actual turtles any day. This looks soooo good! I love anything with chocolate and carmel in it! I could eat thee for breakfast! I found it funny! That fudge looks so delicious! Really excited to see this at the linky party this week. I saw it on your blog earlier this week and bought a bag of Rolos so that I can try it ASAP. Can’t wait. Thanks for sharing on Sweet Indulgences Sunday. 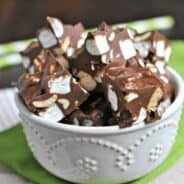 Been a while since I had rolos and I have never made fudge, but this sounds delicious! Thank you so much for joining Fat Camp Friday! See you next week! I love Rolos and Fudge! Can’t wait to try this one out! This looks SOOO good, I am a huge rollo fan… I am going to show this off on my blog tomorrow… I know I show you off a lot, I just.can’t.help.it! You are amazing! Hey Aimee! You are going to be featured again on this week’s Sweet Tooth Favorites! Congrats! Oh my goodness, this looks amazing. This was the first recipe on the blog hop that I went to 🙂 Will make this for sure! Following you now too. Great blog! Michael Ann- thanks for following, I’m sure you will enjoy the fudge! I’m going to have to try this next time my girls start in about pet turtles again! It’d be an all-around win for me! Fudge and Rollos are two of my most favorite candies!